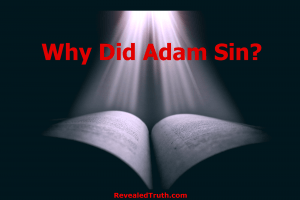 Have you ever wondered why Adam sinned? Adam was created good, had perfect health, lived in a perfect environment, and had direct personal fellowship with God. God had given him a perfect wife to share his life and the authority to rule over nature. He had everything he could possibly need. So why did he sin? Why did Adam disobey God by eating the forbidden fruit? We know why Eve sinned; she was deceived by Satan (1Tim. 2:14). Genesis 3:1-6 records her conversation with a talking snake that questioned God’s Word, God’s goodness, and the truth of God’s judgment. The serpent appealed to her pride as he tempted her with knowledge, saying she would become like God. Why did Adam disobey God by eating the forbidden fruit? But Adam had not been deceived by Satan (1 Tim. 2:14) nor beguiled by the snake. So why did he eat the forbidden fruit from the tree of the knowledge of good and evil? Many commentators malign Adam, accusing him of standing idly by, witnessing the deception of his wife without intervening as the serpent deceived her. They allege that he then defiantly joined her in eating the forbidden fruit even though he was not deceived. This accusation is inconceivable to me because Adam loved his wife and knew the truth. He had not yet sinned, so he was still holy. What possible motive would he have to defy his creator and allow a snake to deceive his innocent wife? First, this erroneous interpretation is not supported by the words of the Hebrew Scripture. Many modern translations promote this false interpretation by supplying two English words that are not included in the Hebrew narrative: “who was.” The Hebrew merely says she “also gave unto her husband with her.” The errant translations say Eve gave to “her husband who was with her.” Rather than providing an accurate translation, the addition of these words is interpretive in nature. While this is not an exhaustive list, the ESV, HCSB, ISV, NET, NIV and NRSV are among the English translations that inappropriately add the words, “who was”. The KJV, NASB and NKJV accurately translate the passage without them. While it was important to point out this translation error for the benefit of those who use the these translations, there are many other reasons for believing that Adam was not present during Eve’s temptation beyond the question of these two words. The second reason is also based on a plain reading of the narrative itself. The most natural way to read this narrative is as a private conversation between the woman and the snake. There is no reason to believe that Adam was present. Why did he do it? Why did Adam disobey God? It should be noted that this passage shows the sequence of action, but provides no indication of the time between each action. After being deceived by her conversation with the serpent, Eve took some of the forbidden fruit and then she ate it. Next in the sequence, Eve gave some fruit to her husband Adam. We are not told how much time had elapsed between these actions. It could have been seconds, minutes, hours or days. If one assumes that Adam was with her, then one could assume that only seconds passed by between these events. However, if Adam was not there, which is the more natural understanding of this passage, then Eve would have had to take the fruit to him. In this case, many minutes or possibly hours would have elapsed before she gave the fruit to her husband with her. Then Adam ate the fruit. But why did he do it? Why did Adam disobey God? We have examined the evidence of the language used in the story of the fall. Next we will examine the tactics of our adversary, the devil, who “as a roaring lion, walketh about, seeking whom he may devour” (1 Peter 5:8). We all know that snakes cannot talk. God never tempts anyone to sin (James 1:13), and a holy angel could not lie and remain holy. So some evil, supernatural power must have given the serpent the ability to speak. The serpent is not actually identified as Satan in the book of Genesis. However, there is enough information elsewhere in the Bible to establish the power behind the snake’s words. Jesus declared that the devil “was a murderer from the beginning, and abode not in the truth, . . . he is a liar, and the father of it” (John 8:44). In his first epistle, the apostle John informs us “the devil sinneth from the beginning” (1 Jn 3:8). In describing Satan, Ezekiel said, “Thou hast been in Eden the garden of God” (Ezek 28:13). And in the book of Revelation, the angels identify the dragon as being “that old serpent, which is called the devil and Satan” (Rev. 12:9; 20:2). The Bible warns us to be vigilant and put on the whole armor of God that we may be able to stand against the wiles, snares, and devices of the devil (1 Pet 5:8; 2 Cor 2:11; Eph 6:11; 2 Tim 2:26). Paul also warns us of “false apostles, deceitful workers, transforming themselves into the apostles of Christ. And no marvel; for Satan himself is transformed into an angel of light” (2 Cor. 11:14). The devil uses deceit, delusion, and disguise to capture and destroy his prey. Eve, our first mother, was Satan’s first target. However he did not transform himself into an angel of light. Instead he took on the form of a serpent. One of the most basic tactics in warfare is to divide and concur. Why take on the full strength of the opposition instead of only a part? Lone predators do not try to kill multiple animals in one attack; they pounce on a single prey. Solomon said, “Two are better than one . . . though a man might prevail against one who is alone, two will withstand him . . .” (Eccl 4:9-12 / ESV). And most people would admit that they are more tempted to sin when they are alone than when they are with a group of other Christians. So why would Satan risk trying to tempt Adam and Eve together rather than attacking them one at a time? Satan is shrewd, not stupid. This was his first attack on humanity. He would have wanted to maximize his chances for success. It would only make sense for him to strike at one alone. It should also be noted that this tactic would not have worked on the man. Adam had named all of the animals. So he would have known that serpents cannot speak. But that was before Eve was created. So she would have been more susceptible to this sinister stratagem. Next we will examine God’s questioning of Adam and Eve following their sin (Gen. 3:8-13). In their answers, neither Adam nor Eve said anything that would indicate that Adam had been present while Eve was tempted by the serpent. When God asked the man whether he had eaten from the forbidden tree, his response was, “The woman whom Thou gavest to be with me, she gave me of the tree, and I did eat” (Gen. 3:12). By this answer, Adam blamed the woman for giving him the fruit and God for giving him the woman. He said nothing about the serpent. Eve on the other hand blamed the serpent. When God asked the woman what she had done, her defense was “The serpent beguiled me, and I did eat” (Gen. 3:13). She did not say ‘The serpent beguiled us, and we ate.” She did not blame or include Adam in any way. 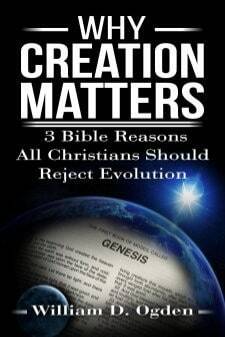 Finally we will examine God’s judgment of the three sinners in Genesis 3: 14-19. In verse 14, God cursed all of the snake-kind because of the serpent’s involvement. We do not know what kind of locomotion they would have had before this curse (perhaps they had legs like a lizard). But now they would have to slither upon their bellies. God pronounced Eve’s judgment in verse 16. Because she had been deceived, and had tempted her husband Adam, men would be the head of the family. Husbands would have authority over their wives. And women would now have great pain and sorrow in child bearing. The reason for Adam’s judgment says nothing about listening to the serpent or allowing his wife to be deceived by the serpent. This is another strong proof that Adam was not there during the serpent’s temptation of Eve. Now that we have established that Adam was not present when Eve was tempted and ate the forbidden fruit, we can evaluate his motive for disobeying God. By identifying the real reason for the man’s sin, we will also show the sly stealth of Satan’s sabotage. Adam was not tricked or deceived like the woman (1 Tim. 2:14), so why did he eat the forbidden fruit? The answer is given in the reason God gave for the man’s judgment, because he listened to the voice of his wife. Adam was not deceived by Satan. He was beguiled by Eve. God had given mankind dominion over the earth and every living thing on it (Gen. 1:28). Satan wanted that power and authority for himself. He could not take it from them. But if they sinned, then they would forfeit God’s blessing. As the first human created, Adam was the key. Having been made from the man, the woman was expendable. Another woman could be made; she could be replaced. 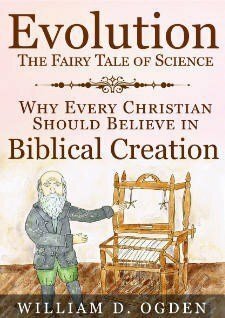 Adam had spent more time with his Creator than Eve. The woman probably heard God’s command about the tree indirectly through Adam, but the man had received it directly from God. Adam had also named the animals, so he was familiar with them all. For all these reasons, Eve was the easier prey for deception. Another strategy would be needed for the man, something less direct. The man had a different weakness the devil could exploit. Adam was not deceived by Satan. He was beguiled by Eve. Deceit is not the only weapon in Satan’s arsenal. He uses pride, greed, and lust as well. In addition, fallen souls become unwitting foot soldiers in his army. Once he corrupted the woman, he could use her to get the man. Imagine Adam’s shock when the sweet woman he loved came to him bearing forbidden fruit as a gift. Imagine his dread as she related what the talking snake had said, told him that she had eaten the fruit, and pointed out that she was not dead. Imagine his horror when she gave him the deadly fruit and asked him to eat it with her. How could she believe her Creator was withholding something good from her? Serpents can’t speak, so who or what spoke with her? Why didn’t she talk with him before eating the fruit? Why would she want to know evil? Maybe Adam could sense a change in his wife as she asked him to join her in disobeying God. Perhaps he resisted, saying that just because she ate it didn’t mean he had to. Eve might have cried and questioned his love for her. We do not know. The Bible does not tell us what Eve said to convince Adam to eat the deadly fruit. All we know is that he did what she said. She gave him the fruit and he ate it. Then God condemned Adam for listening to his wife and obeying her voice rather than keeping His command. God condemned Adam for listening to his wife and obeying her voice rather than keeping His command. So why did he do it? Why did Adam disobey God by eating the forbidden fruit? Why did the first man sin? Ultimately, Adam’s action demonstrates that he loved the woman more than he loved God. Adam loved the gift more than the gift giver. He loved a creature more than his Creator (Romans 1:25). Eve had become the man’s idol. She had become more important to Adam than God. Satan used the woman to get the man. Adam was tempted and led astray by the woman he loved. Eve was the first woman to corrupt a man. She was not the last.